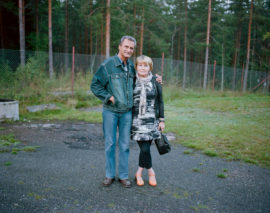 Thanks to an A-N Travel Bursary, foundations were laid for a photographic project exploring Finland's rich history of couple dancing. 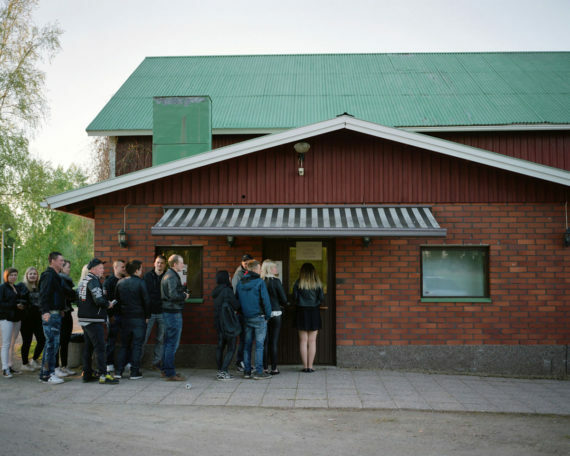 The first leg took me around South Savonia in the east of Finland and this blog is a kind of unravelling of the people and places I encountered. 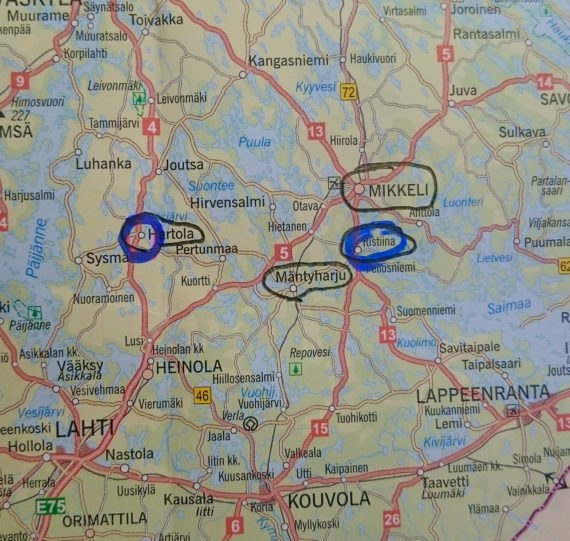 I arrived in Ristiina which is very close to the town of Mikkeli in the south-east of Finland on the 12th of August with a loose itinerary for the next 4 weeks. I was going to attend dances at five different venues in the Savonia region including Krouvin Lava in Heinola, Hiitomanlava in Mikkeli, Kallioniemi in Koria, Nurmaan Lava in Nurmaa and Metsälinna in Ristiina. I had a contact at Krouvin who is a family friend and I had already attended a student graduation dance at the venue earlier in June so I had met with the manager and he’d given me the OK to come along to as many dances as I wanted over the period of my stay. Before leaving the UK I got in touch with the managers of both Metsälinna and Nurmaan and they had both agreed for me to come and speak to them about the project face-to-face, so I set a suitable date for both those meetings. I also contacted the newspaper Lansi Savo which goes out to people across the Savonia area, they were keen to speak to me about the project so we set a date for an interview using the Metsälinna dance venue as a meeting place. 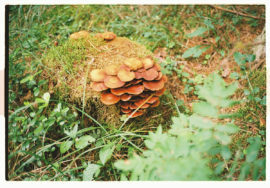 Since I am writing this blog some-time after my research trip, due to a hectic schedule at the time, there are some elements of my timeline which are a bit confused and my research has been moving in a number of unexpected directions so I’m just going to write as I remember and as things stand now. My first dance pavilion visit was made to Krouvin Lava. Because of its proximity to my family friend’s house I was able to give her, we’ll call her E, a ride early enough to get her to work, giving me enough time to walk around and figure out the best place to set up my light. I’d managed to get a bit of practice in at home with how best to shoot, I was using a new lighting kit so felt a bit apprehensive going out and using it with strangers, but I decided it would be best to test in the chosen setting with my digital camera, then to dial in the best readings into my medium format film camera – which is what I’d be shooting the project on. This way I could trust that the images would be properly exposed. The venue was actually on an area of old farmland, the bar and restaurant set in the original farmhouse with an extension built to create a bigger dance floor that had the characteristic central pillar design I saw in a lot of the venues. I remember it was a really sunny day and though I was told people normally start arriving at around 9pm – when the first of the main acts were due to perform, people began arriving early and there was a constant stream of cars and coaches. Krouvin is also a popular venue in the summer because they have an onsite campsite for campervans, they also have their own Sahti Brewery which is a 9% dark beer only served in half pints. It’s actually very tasty though one is often enough. 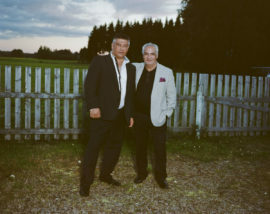 While I was shooting my first portrait a very well dressed man in heavy jewellery walked over to ask about my camera and light, he wanted me to shoot him and his friend – it turned out they were one of the acts performing tonight and have been singing at dances all over Finland since the 1970s. Their names were Rainer Friman and Rainer Bollström and they were playing with their band Graniitti and I ended up getting talked into shooting some live photos for them in exchange. It is through meetings like this that I plan to develop my interviews as it becomes increasingly interesting speaking to people who have had years of involvement in the dance scene, especially from the perspective of the performer. I have been on the boat from Helsinki to Tallinn and been to nightclubs in bigger Finnish cities where in both settings dances and karaoke have been the main entertainment, and it’s quite a different atmosphere as dance etiquette is followed very seriously in the pavilion setting. I wonder if this is due to the transient nature of the ferry or nightclub dance, or just down to the relatively sober drinking culture of the pavilion dances; three out of five venues I visited had a licenced bar. At one of the last dances I visited in Nurmaan I met a couple standing just by the venue’s perimeter fence looking slightly coy, I told them about my project and they agreed to stand for a portrait as they told me that this was their first time at one of these pavilion dances. 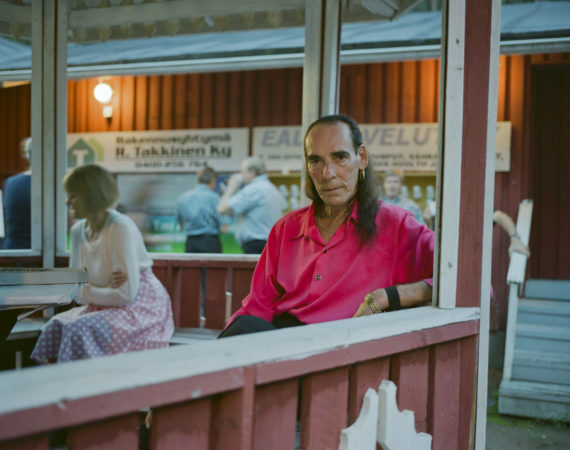 The man was called Tero and during the 1970s he and his band toured the nightclubs of Finland playing their mix of pop[ular] music (or iskelmä as it is known in Finland) and soft rock n roll. A recent search on YouTube has revealed that he is recording again and possibly a return to the circuit is imminent. As the sun went down there must have been about 300 people in the Krouvin venue. Many were just enjoying the music and sitting and drinking but the majority were dancing or waiting to dance. 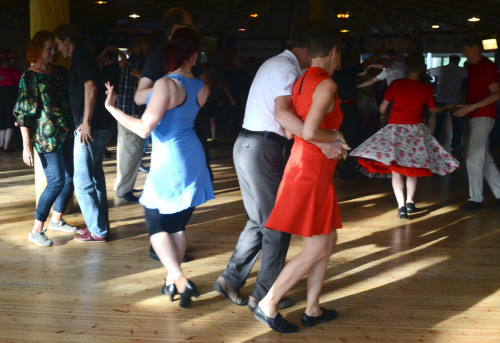 There are rules at the Finnish ‘Lavalla’ that have been in place since dances like this began sometime in the 1940s, which can give the dances a very old fashioned feel. 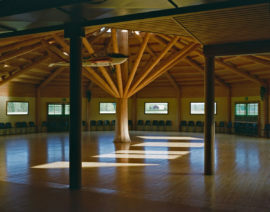 For example men and women are separated while they wait to dance, the women sit on benches along the wall of one side of the venue, the men along the other. Most often it is the man who asks the woman to dance though there are a few hours allocated where it’s the women’s turn, and the good dancers get snapped up quickly. As a woman brought up with average feminist values I couldn’t help but find this arrangement ‘difficult’. I attended a small number of dances with my grandparents as a child but only ever danced with my grandfather, now much older and used to spending my whole life essentially dancing on my own, or with a friend/person-of-interest in near proximity, the thought of dancing closely with a stranger is bizarre and more so due to the nature of the male leading the dance. I met people that night who were very interested in the project with many telling me how important it is that someone is documenting these events. I did notice a lack of photographers, even camera phones were kept in the cloakroom meaning I stood out even more, but people were genuinely curious and warm about the project. My plan for coming out to these dances was primarily for research; to meet people involved in the dance community and find out more about how it sits within Finnish culture as a whole, also to see if much documentation exists of dances in its early days. 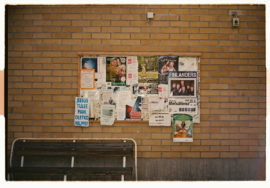 I met a photographer from one of the dance newspapers and we spoke about meeting in the future to go over his archive, though as I mentioned there does seem to be a lack of documentation. One evening whilst not at a dance I stumbled across a programme on TV that montaged together a ton of archive footage, a loose narrative had been woven in in which a teenager was enjoying the last days of the summer months, going to the beach and to Linnanmäkki – Helsinki’s adventure park, one part also showed him visiting an outdoor dance with his friends. It was amazing footage shot on 16mm with iskelmä sound tracked throughout. 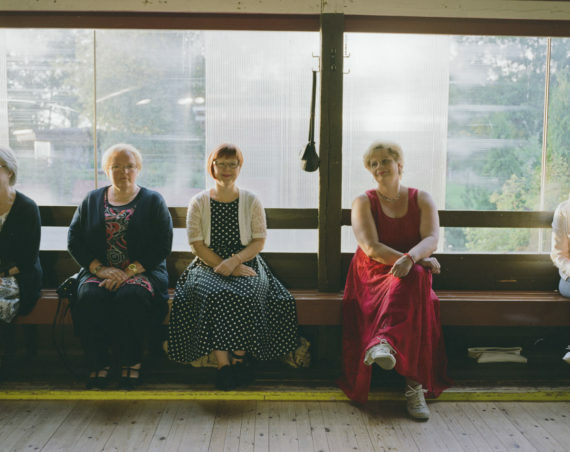 It made me wonder whether a generation of dance goers are nostalgic for those summer nights with much of the attraction of the dance located in Finland’s history. 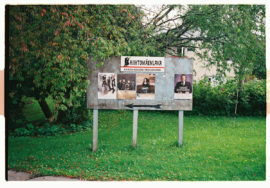 A paper by Pentti Yli-Jokipii (1996) describes the changes in local communities throughout the second half of the 20th century which can be attested to local dance pavilion culture – specifically in areas where open air dances were more popular. 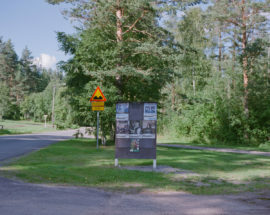 He argues that Finland’s population began to ‘intermingle’ considerably due to the location of the dance pavilions which were often built between neighbouring towns and villages. Young couples would meet on the dancefloor and fall in love, would have children and move to a new area expanding the population. “A large part of the audience dresses up accordingly – men in period style suits, bow toes, berets or fedoras, women in long floral dresses and high heels.” (p.48). One young woman in her 20s whom I photographed spoke about her love of dancing with a stranger and being led by a man; “many of us women look out for the good dancers and wait to grab them when it’s time for the women’s dance (the part of the evening when women choose a dance partner). Sometimes this can be a bit of a struggle especially if there are more women than men at a dance but I don’t mind how old my partner is so long as he is a good dancer”. (Field notes 2017-08-18). For the younger generation attending rural pavilion dances this is more about meeting a dance partner than a romantic one, somewhat different to the early days. I have stayed in touch with many of the people I spoke to and photographed, firstly to send them their portrait and secondly as I carry on waiting to see where this project is going next, to interview people further. I have a couple whom I would love to go back and visit, either to re-photograph or film and I am still on the hunt for images – moving or still, of dances when it was most popular among young people. My next trip will hopefully take place in 2018 and I am following a route in a new region on the opposite side of the country in the west. In the meantime I am wondering if it might be time I embraced a stranger…I think I need to start dancing. I would like to thank A-N The Artists Information Company for giving me this opportunity to explore my motherland more than i’ve ever had the chance before. Also I must thank everyone who allowed me to take their photograph and shared stories of their history and experiences, also the beautiful venues who opened their doors and allowed me to hang around for hours on end. As a kid I became obsessed with the accordion, I’d seen street performers in Helsinki and Mikkeli in both summer and winter, and more often than not the sound was distinctly melancholic. This is due in part to the central and eastern European roots of Finnish popular music stemming from St Petersburg during the early 19th century as Russia incorporated Finland into its empire. By 1917, when Finland declared its independence, the minor-key tunes originally from Russia had successfully planted themselves in the public’s hearts and were firm favourites at dances and on record, though all Russian lyrics were translated to Finnish. Many of the performers I saw at the dances I attended in Savonia were accompanied by a band of young musicians who would tour with the main artist all over the country during summer dance season. In that band was often an accordion player, like another singer accompanying the main vocalist they would be given a position in front of the rest of the band. For me it is an instrument that deserves respect though in its history in Finland this has not been the case as accordion players have fought for recognition alongside other popular classical instruments such as piano and guitar. Even the Sibelius Academy refused to teach accordion players in its early days. It isn’t exactly an instrument that sits well with pop or rock either though there seems to be a current trend of pop hit covers in an attempt to popularise the instrument once more, personally I love the old folk Russian waltz’s and polkka’s from the 1940s, the melancholic tones and drawn out minor keys are reminiscent of a longing for something; love, companionship or the sun on endless winter nights. During my trip I spent time when not at dances visiting my grandfather in the veterans ward of the local hospital, he is 93 and was having a small operation on his leg so I would bring him his copies of the Lansi Savo and Kiuruvesi newspapers and on the weekends the hospital would bring some entertainment to its elderly patients in the form of a local accordion player. He played a lot of the music from the war which went down very well with his audience and I made some field recordings of a couple of his performances which I intend to use in some work at some point. Listening back to the recordings I was reminded of a trip to Germany I made with a friend over 10 years ago, I had with me a small tape recorder which I used to record a lot of the street performers we came across as we travelled from East to West, many of which were accordion players. One day it will be time to unpick this archive. 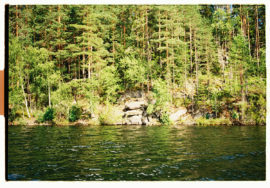 Finland is well known for its vast stretches of forest and farmland broken up by some 187,888 lakes, the navigation of water through the land has over the year’s determined suitable areas for settlement and coincided with the development of towns and villages. Prior to the country’s well established network of roads, access to some towns and villages was limited. In 1945 after the Second World War a new land reform was introduced as over half a million Finnish refugees needed relocating from the now Russian-owned Karelia in the south east of Finland. Areas of farmland were allocated to both refugees and the men returning home from war and one of the conditions placed on the resettlement were that they had to start a family. It has been said that the popular leisure activity of couple dancing helped the Finnish population to spread out from its isolation. 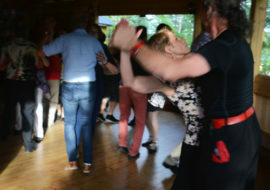 Dances such as the Finnish tango, polka, jenkka and marsukka became popular at the time with most songs written and performed by Finns at local dances. The location of some of the summer dance pavilions meant that neighbouring townsfolk would meet people outside of their close network and as a new confidence in the future grew, love and families were quickly made. Dances are still advertised locally and are relatively easy to find if you know where to look. 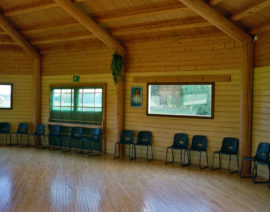 Some venues are seemingly hidden down dirt tracks surrounded by lakes and woodland, or on the outskirts of towns on the edges of industrial estates. They have seen some decline in popularity from younger generations but there still remains a certain nostalgia for the traditions which are held on the dancefloor and each summer people gather less for romance and love but for exercise and entertainment, or just for something to do. In typical Finnish fashion as one woman explained; “I’ve been dancing with the same man here for over five years and we dance wonderfully together, I still don’t know his name but that’s just how it is”. Research keeps us keeping on. 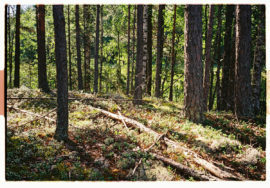 The project I undertook with help from an A-N travel bursary, allowed me firstly to explore parts of Finland I had not yet been to, this was one of the main reasons for its undertaking. I secondly wanted to put myself in a position where I would be taking portraits of strangers, this was something I hadn’t done in quite a while, I felt out of practice and missed the feeling of being uncomfortable in my surroundings. The possibilities become very open in those types of situations, and as a photography technician in a secondary school I am constantly telling young people to do things that take them out of their comfort zones – the more I said it, the more I felt like I should be doing it too. Aside from making some pictures I had no solid outcome in mind, I knew I also wanted to shoot some video though what I was going to do with it, or what I am going to do with it, I still don’t really know. Looking through the footage now becomes helpful, what i’m focussing on and how I’m using the camera – panning or static, changes from the first dance to the last as I begin to find a way of shooting that works in the dance environment. I also changed lenses a few times which completely changes how the viewer is drawn into the frame. I have already begun applying for more funding to go back next year travelling to the west of Finland beginning in Oulu and working my way down the coast as I know of quite a few active dance pavilions in those areas. By keeping in touch with some of the people I photographed and following the activities of the performers I am slowly building an archive of stories which will, eventually, accompany this work. But i am staying open to changes. 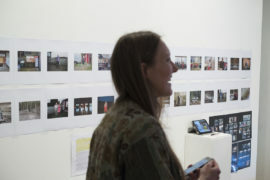 I have exhibited a small portion of the images at a Photo Scratch event which took place at Four Corners in Bethnal Green in east London. The event acts as a kind of crit or a work-in-progress exhibition where participants show projects and speak to the people who attend. Feedback has been very positive with a mixture of people perceiving the lack of images I have of people actually dancing as both a good and bad thing. So I know that I would like to do things slightly differently when I return, some of the changes are technical; for example working out a way to achieve better dance images, sticking with one lens for filming and to continue developing relationships with the people I photograph and seeing where this takes me. 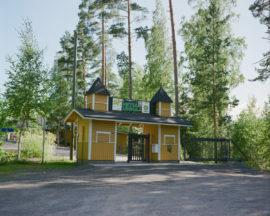 I am continually researching new areas dealing with the history of Finnish dance pavilions that new interests are constantly being sparked – this can also be a hindrance with my dyspraxic nature as I tend to jump from one idea to another but I am staying open and positive that these connections can only make this project stronger in the end. The support I have had so far has been amazing; from the LCN London Creative Network who gave their time to help me with my A-N travel bursary application, the Lansi Savo newspaper who interviewed me in Finland about the project, Photo Scratch and Four Corners whom I have showed part of the project with and family and friends who have been on hand to look at the work at hear my stories. These connections and collaborations have begun to form an important part of how I can function as an artist and it is thanks to funding and networks like A-N that make projects such as mine possible. 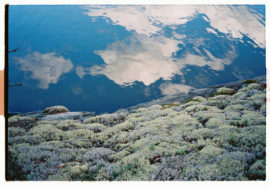 A photographic artist and educator living and working in London, sometimes Finland.